The Danes were up against 23 other countries. Sweden won Silver, and Norway won Bronze. 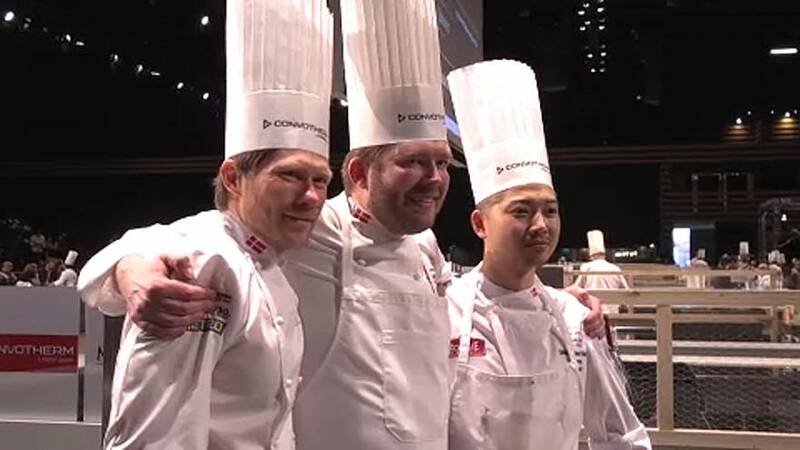 The winner of Best-Themed Platter winner was Finland and Best-Themed Dish winner was Bocuse's home country, France. Jerome said: "I think even my father, 32 years ago could never have imagined the scale that this contest has reached. "When we see these supporters crossing the world to attend the Bocuse d'Or, then we realize the size of the competition." The chefs had 5.35 hours to prepare a platter and a dish. This year's recipe was a rack of veal with five prime chops, roasted with offal, which was a specialty of Paul Bocuse. Vegetable Chartreuse with shellfish was the theme of the dish. Among the renowned jury of judges was chef Régis Marcon, who said: "We have put in place a regulation that gives more opportunities to emerging countries. "The countries of northern Europe very early saw this as a challenge and for them, it was a way to write a blank page of their gastronomy and that is great."